Born in the UK, Patricia Robertson grew up in British Columbia and received her MA in Creative Writing from Boston University. 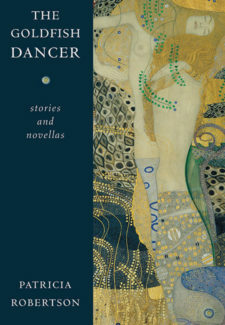 Her most recent book is The Goldfish Dancer: Stories and Novellas. Her first collection of fiction, City of Orphans, was shortlisted for the Ethel Wilson Fiction Prize. Her work has appeared in the Journey Prize Anthology and been nominated for the CBC literary awards, the Pushcart Prize, and the National Magazine Awards (three times). She was the 2008 writer-in-residence at Green College, University of B.C., and the 2010-11 writer-in-residence at Haig-Brown House in Campbell River. Currently she is a creative writing instructor at Yukon College in Whitehorse, a freelance writer/editor, and a contributing editor for CNQ.